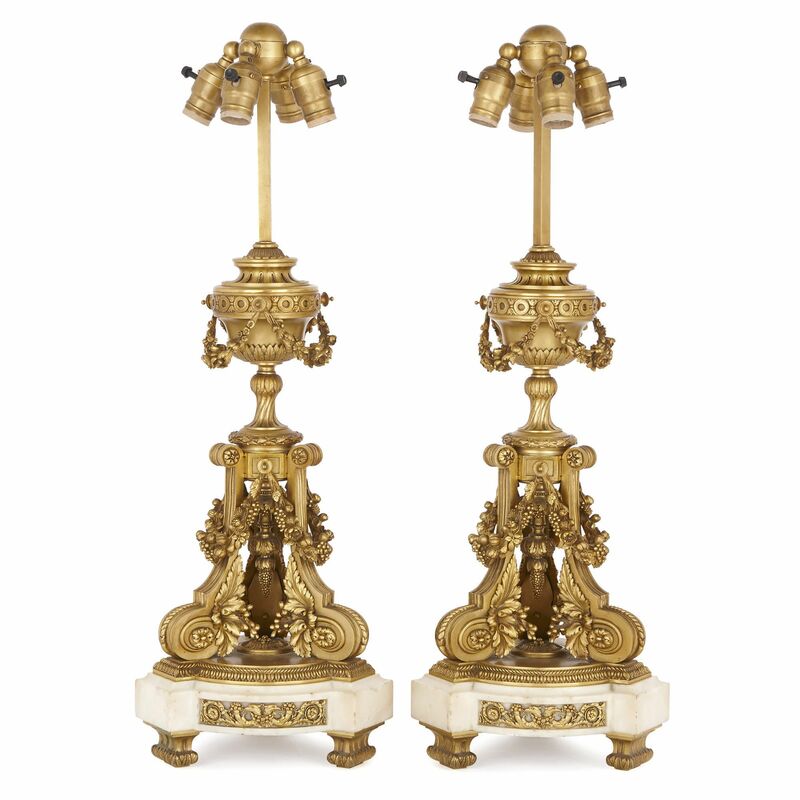 These richly-ornamented bronze lamps have been gilded, creating lustrous gold surfaces that will beautifully catch and reflect the light they produce. 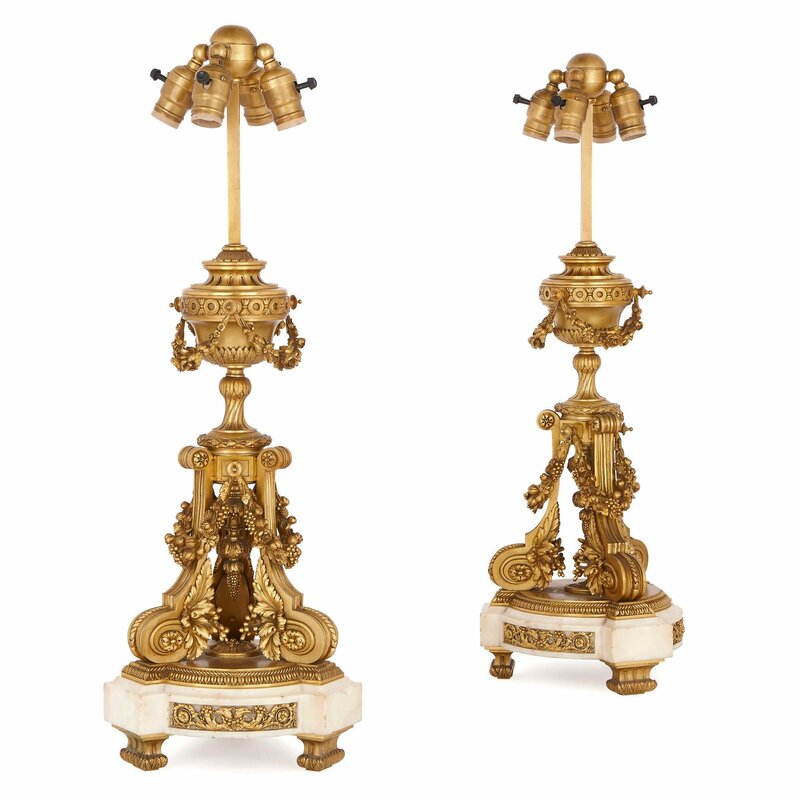 The lamps stand on triform white marble bases, which are mounted with pierced, scrolling ormolu designs, featuring eagle heads, cornucopias and foliage. 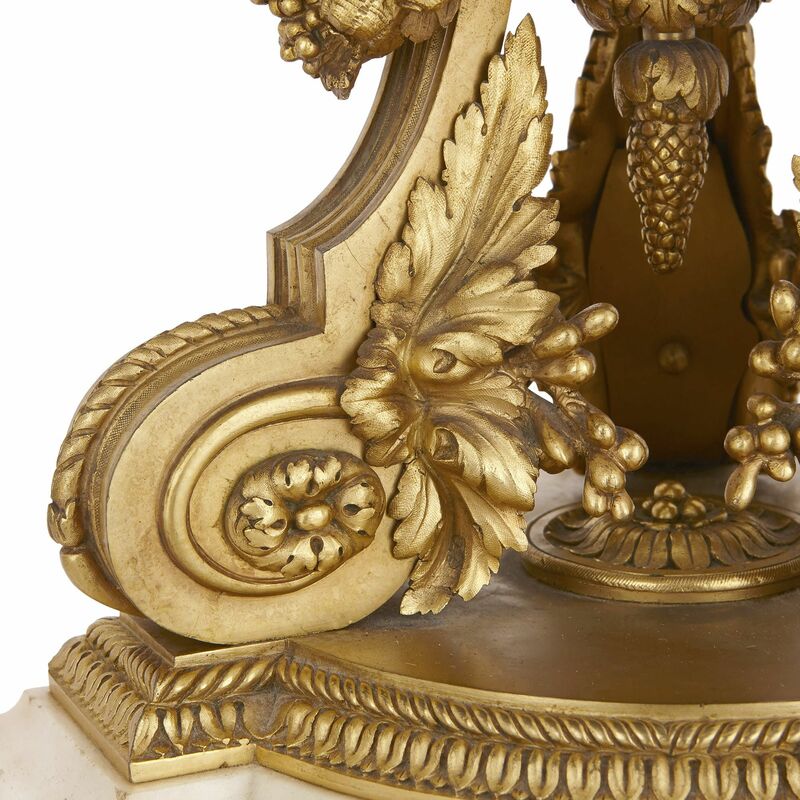 Each base is set on three, blocky ormolu feet. 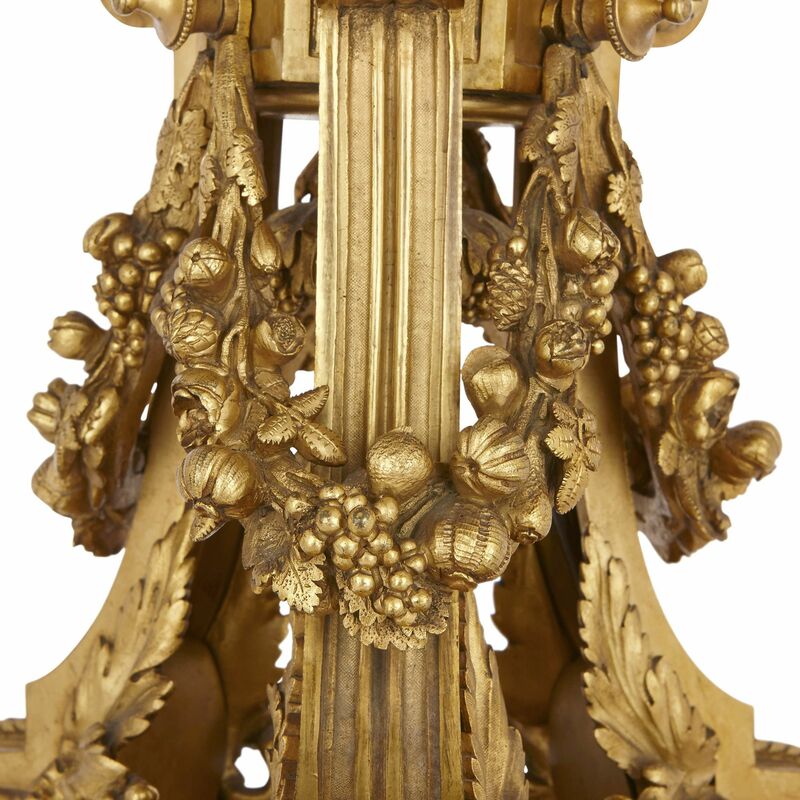 Each lamp base is topped by three ormolu scrolls, which are decorated with fruiting leafy vines, and draped with ormolu flower and fruit swags. 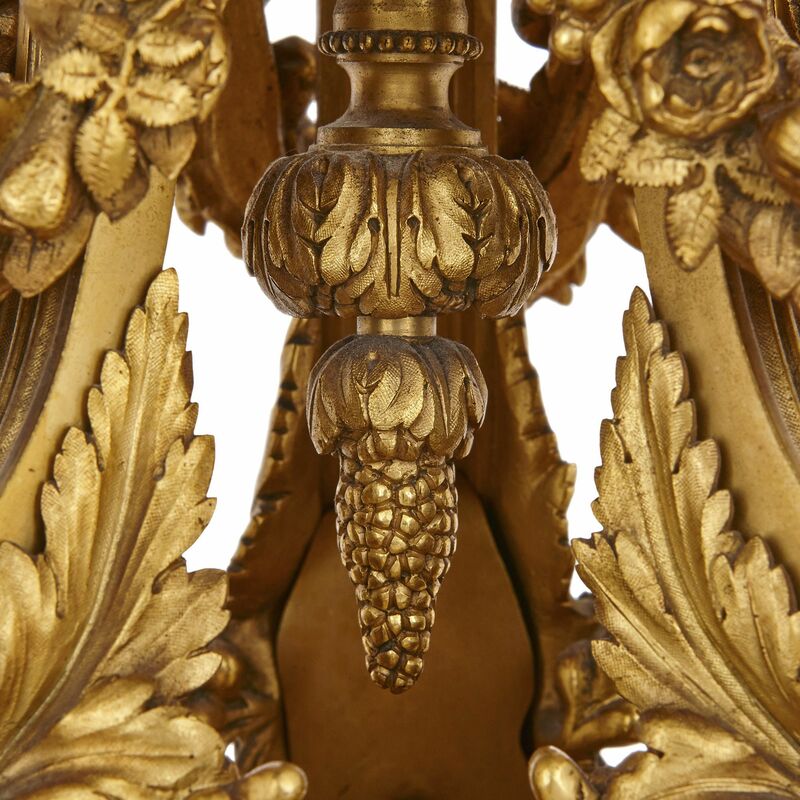 Ormolu drop finials, cast as bunches of grapes, hang down in the space between the scrolls. 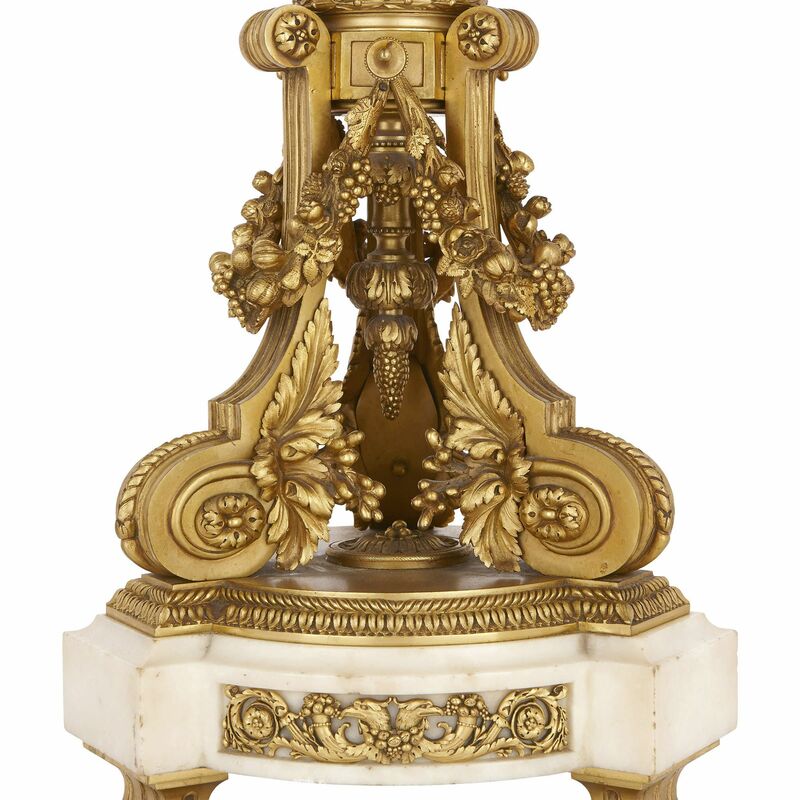 The scrolled supports are topped by ormolu classical urns, which are decorated with foliate relief decoration and three-dimensional ormolu flower garlands. 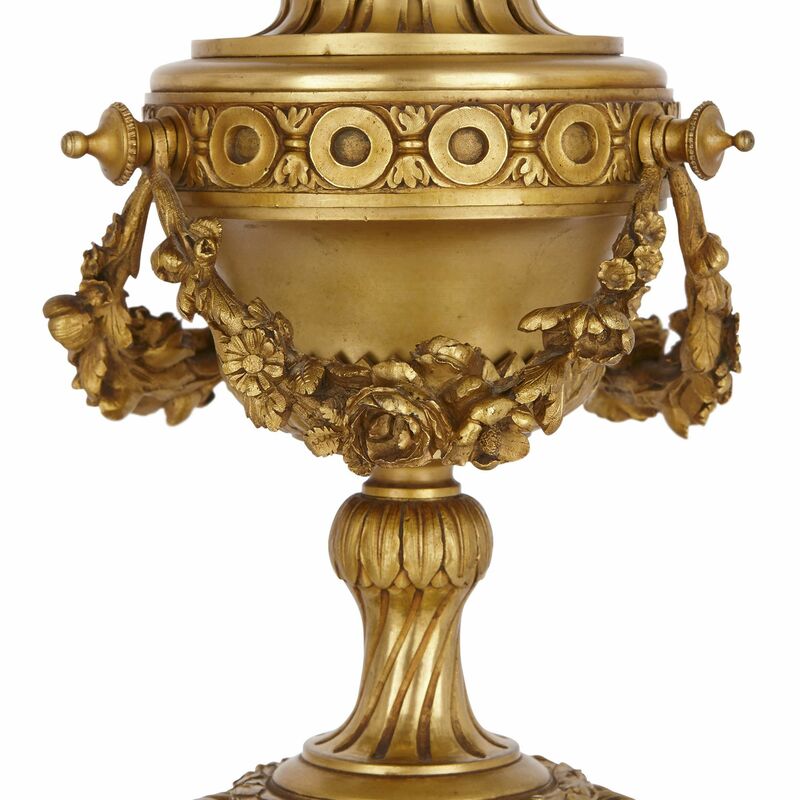 The urns are surmounted by the ormolu light fixtures, which allow for four light bulbs. Once fitted with shades, these lamps will make graceful additions to a living or dining room, bedroom, or study.